One of the most addictive parts of mountain biking is buying and installing upgraded parts. Whether it is new cranks, wheels, gears or grips, the temptation is always there. We all suffer from the dreaded Upgrade-itis at one time or another. Since it is almost inevitable, learning to choose upgrades wisely is very important. That is what this series will focus on. 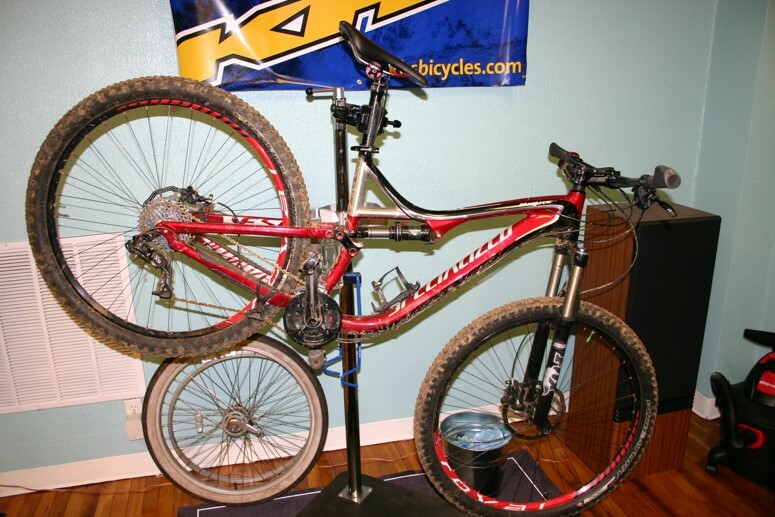 The bike that is the subject in the series is a 2012 Specialized Stumpjumper FSR Comp 29 (say that three times real fast). It was purchased new in November of 2011 has had one owner. Overall the bike is in very good condition with only the normal wear and tear present. That brings us to the first point. Should I upgrade my bike? The answer is maybe. If you have a bike that is in good condition with no excessive wear, fits you well and you enjoy riding, then upgrading parts makes sense. Point two is What should I upgrade? and that is a bit harder to answer. The best guideline is to replace things as they break or wear out. Also, if you are riding beyond the capabilities of a certain part. This usually leads to part failure rather quickly, but not always. There is also upgrading just because you want to. There is nothing wrong with this. Just be aware that changing out parts is not going to make you go faster or jump higher unless you were exceeding the capabilities of the original parts. That brings us to the Stumpjumper. The upgrades were done in three phases over a period of about five months to allow each upgrade to show its merit and to let the rider appreciate the differences the new components made. In the interest of fairness, it must be noted that this bike was far from stock before this series began. It had several upgrades previously. Parts one and two will deal with replacing the stock shock and fork, while the third installment will cover changing a previously upgraded set of wheels with another aftermarket set. Each installment will include an initial ride report and an additional report after about half a dozen rides. The idea is to give you, the reader, a little insight into choosing upgrades that will give you the most bang for your buck. First up, changing out the original rear shock!